Heading into their second round matchup with Abington, Coach Myer and the Wilson girls knew they would have their hands full trying to defend the Lady Ghosts and junior point guard Deja Rawls. 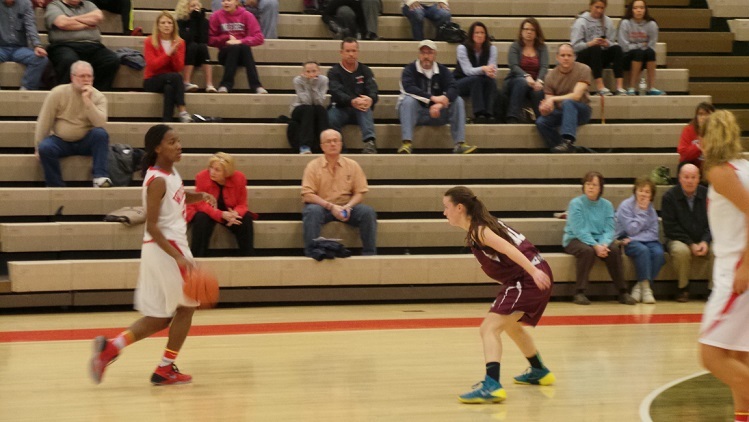 Abington had played to a 20-8 record heading into Tuesday night’s game at Coatesville. The Lady Galloping Ghosts jumped out to an early 18-12 lead after the first quarter, led by Gabby Nolan, who scored 10 of the team’s 18. Wilson found themselves in unfamiliar territory, trailing after the first quarter for the first time since their January 14th game against Daniel Boone. In between quarters, Coach Myer could be heard telling the Lady Bulldogs to maintain their composure. As the second quarter began, Abington once again gained control. The Lady Ghosts scored the first 9 points of the second stanza, pushing their lead to 27-12 with three minutes until half. The Lady Bulldogs would pull to within 13 at the half, trailing 31-18. Abington, led by their 6’2″ senior center Michael Harris, would once again outscore Wilson in the third quarter, giving them a 43-28 lead heading into the final frame. 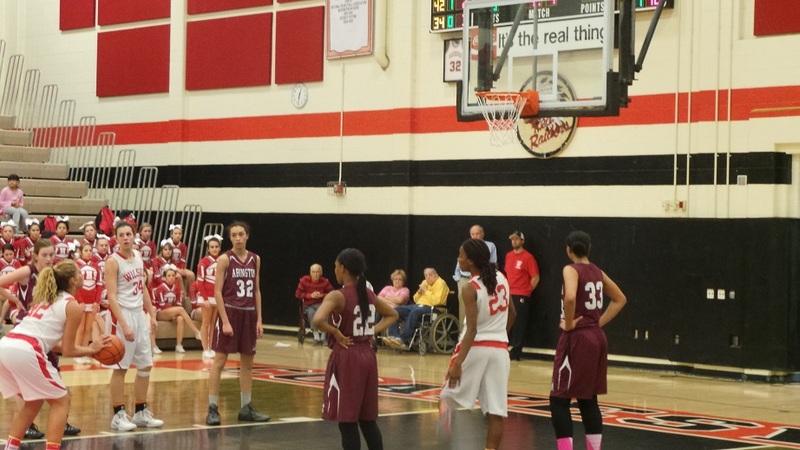 The Wilson girls used an offensive explosion in the fourth quarter to pull within six heading into the final minute of play at 47-41. However, Abington would pull away by knocking down their free throws in the double bonus. When the final horn sounded, Abington emerged victorious by a final score of 53-43. Abington, who was led by Gabby Nolan and Michael Harris, who each scored 18 points, will move on to face Spring-Ford in the PIAA quarterfinals on Friday. Wilson got double figure scoring out of Ivory Bailey (15) and Carley Brew (10). The Lady Bulldogs will need to replace 4 of their 5 starters next season, all of whom are committed to Division I schools.